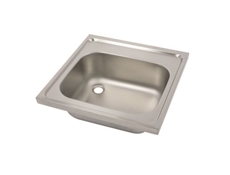 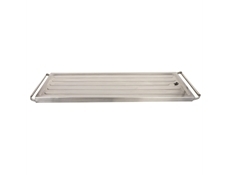 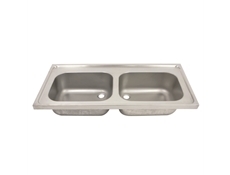 Description: A press formed plain top of Stainless Steel incorporating a rectangular sink bowl without overflow or tap holes and a Sluice with continuous flushing rim. 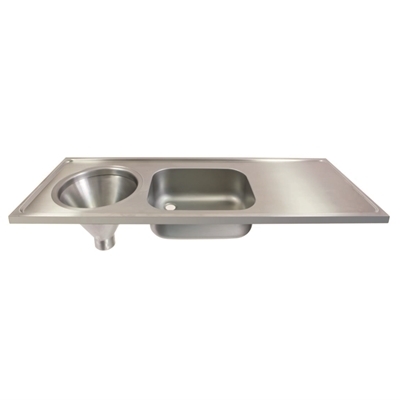 No upstand, edges rimmed and turned down all round. 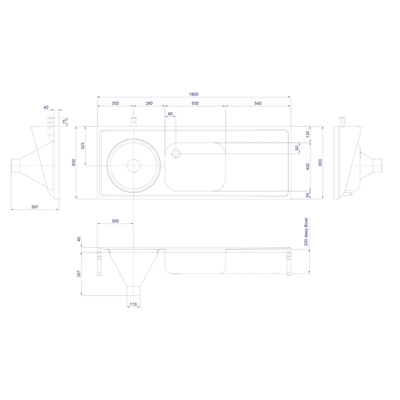 Available with both Top Entry and Rear Entry feeds to the sluice and Right Hand or Left Hand Sluice Unity position. 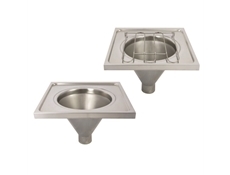 Top Entry models supplied with cistern connecting tube.